So if you follow any of my social media platforms (of which there are definitely too many), you’ll know I do enjoy a good poached egg for brekky. I admittedly eat out an alarming amount because it would be RUDE not to enjoy Melbourne’s incredible foodie scene to the fullest and also because I can totally count it as “research” being a cafe-owner (lols). But it could also be out of habit because, until recently, my egg-poaching skills were pathetic at best. That was, until, I discovered one of the best life hacks of 2018. 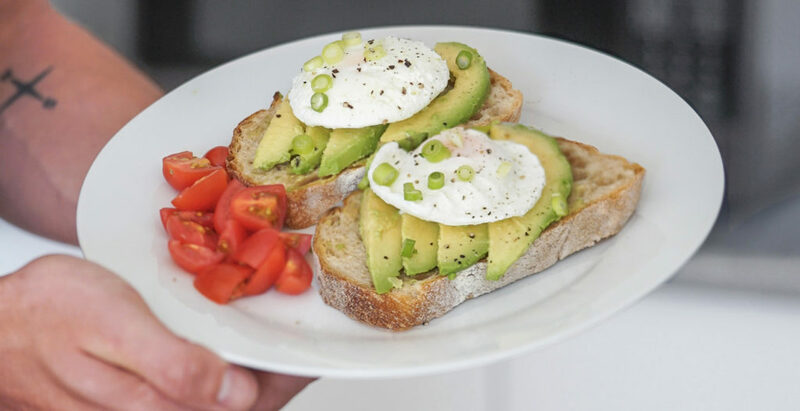 Did you know… YOU CAN POACH THE PERFECT EGG IN THE MICROWAVE!? What even!? Forget glad wrap in a cup or eggs drenched in vinegar, you can legit poach an egg in the microwave that actually turns out better than using the traditional methods. It literally blew my mind how easy it was to do what I had always found to be incredibly difficult and now I’m poaching away like a pro. 1. Crack the egg into a microwave safe bowl or mug. 2. Use a fork or toothpick to poke a hole in the egg yolk. SOME RECIPES DON’T INCLUDE THIS BUT IT’S IMPORTANT SO THE EGG DOESN’T START EXPLODE WHEN COOKED. 3. Pour in the water. Add the vinegar if desired. 4. Cover the bowl/mug with a microwave safe plate. 6. Remove plate and check egg. If not done yet, cook again in 20 second lots. 7. Remove from the water with a spoon. Enjoy! *Remember all microwaves are different so it can take a bit of experimenting with yours until you get the right cook time (which also depends on how hard you like your yolk).